﻿ Accommodation farm between Umbria and Tuscany, La Cerretola appartments with swimming pool. La Cerretola is ideally located to act as a base to explore the historic, artistic and environmental sites of Tuscany and Umbria. 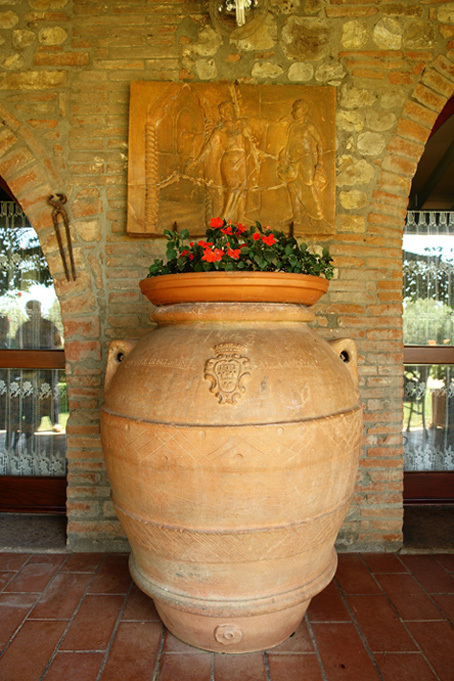 Environmental sites include Lake Trasimeno, the smiling Val di Chiana and Val D'Orcia. La Scarzuola only 20 km away, is one of the great gardens of Italy where it's possible to visit the perfect city built by the famous architect Tommaso Buzzi in the 16th century. For lovers of art and good food we suggest you visit Orvieto, Perugia, Assisi ( home of the famous Franciscan monk Francis of Assisi ), Spoleto, Gubbio, Pienza, Montalcino, Chiusi, Cortona, Chianciano and of course Siena. For those in need of a little relaxation try the thermal baths at Chianciano Terme, Bagno Vignoni and San Casciano dei Bagni. La Cerretola is surrounded by beautiful sites and historic towns and villages. Even if you decide not to venture very far you will find this part of Italy quite magical.